On today’s show we take your questions on casual Thanksgiving dinner invitations, saucy knives, who pays for broken gifts, requesting gift cards as payment and hand delivering mail. Plus your feedback, etiquette salute and a postscript segment on "turning the table". 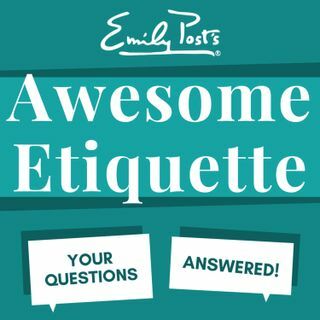 The extra question of the week is about turning down a dinner invitation.